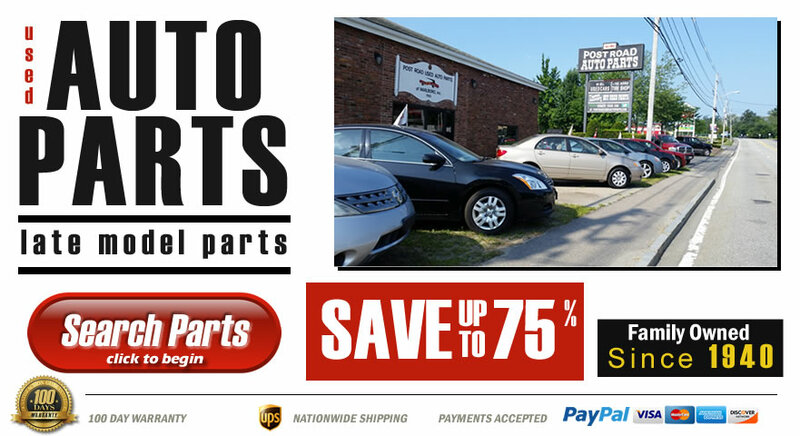 Post Road Used Auto Parts is your friendly local auto recycler, proudly serving the Metrowest, Worcester, and Boston areas for the last seven decades. We specialize in late model foreign and domestic recycled auto parts. Visit with us today for great selection and superior quality used parts. We include a fantastic 100-day Standard Warranty. Recycling old cars is a great way to help keep the planet green and we promote eco-friendly solutions to the disposal of junk cars. Servicing the area since 1940! 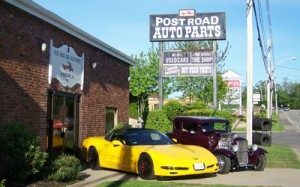 Post Road Used Auto Parts is your local source for auto parts – including used engines and transmissions. We have been proudly serving the Metrowest, Marlborough, Worcester and Boston areas in MA for the last seventy years. We handle all types of domestic and foreign parts, if you don’t find something online give us a call. Visit our recycling yard to see our great selection and quality used parts, offering a 100 Day Standard Warranty. We offer nationwide shipping all across the United States. You can rest assured that the part or parts you order from us will arrive on-time. It does not matter if you are ordering parts locally or from across the country, we will make sure they are shipped safely and in a timely manner.